The June Bug was a further refinement of White Wing, was sponsored by Curtiss and was more successful with the same 40 hp lightweight V-8 engine. First flown on 21 June, it made numerous flights, including a straight run of 1042m on the seventh flight. 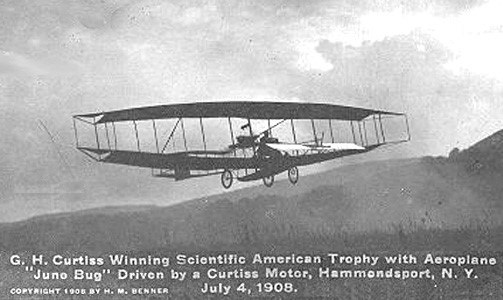 On 4 July1908, Curtiss made a pre-arranged flight to win the first task, or 'leg', of the Scientific American Trophy, which called for a straightaway flight of one kilometre. After a couple of false starts, he won this with ease by flying 1.6km at a speed of 62.76km/h. 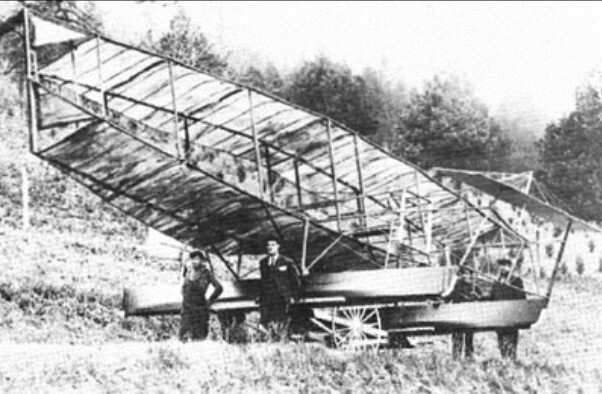 Curtiss fitted twin pontoons to his June Bug, renamed it Loon, and tested it in June 1909. It attained a surface speed of 27mph would not leave the water. During subsequent attempts it went out of control, sank in the shallows, and became frozen in the ice. 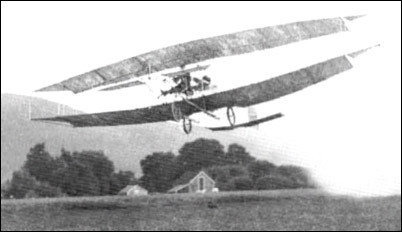 The June Bug was used by Curtiss for a total of 32 flights. It then crashed on 2 January 1909 and went into retirement. Curtiss fitted pontoons to his June Bug, renamed it Loon, and tested it in June 1909, but it would not leave the water.